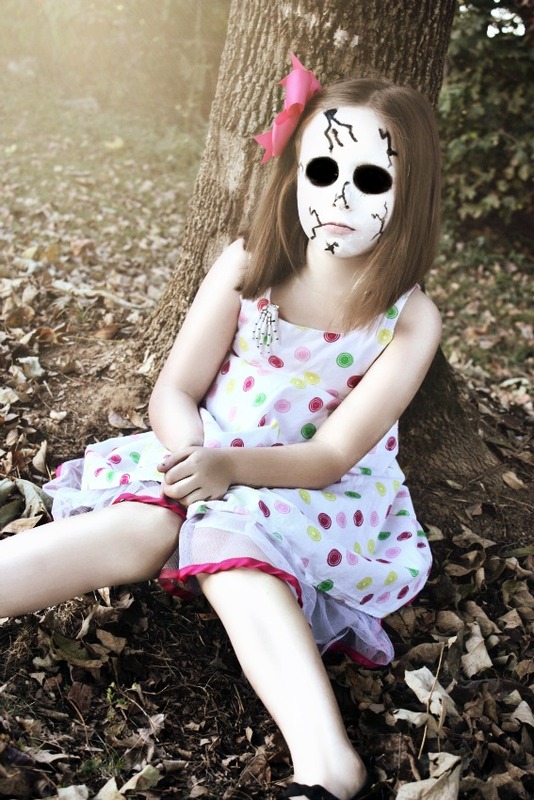 If you have been to my little slice of the web recently, then you know how much I love all things Halloween! Lucky for me, my daughter gets just as excited about it. 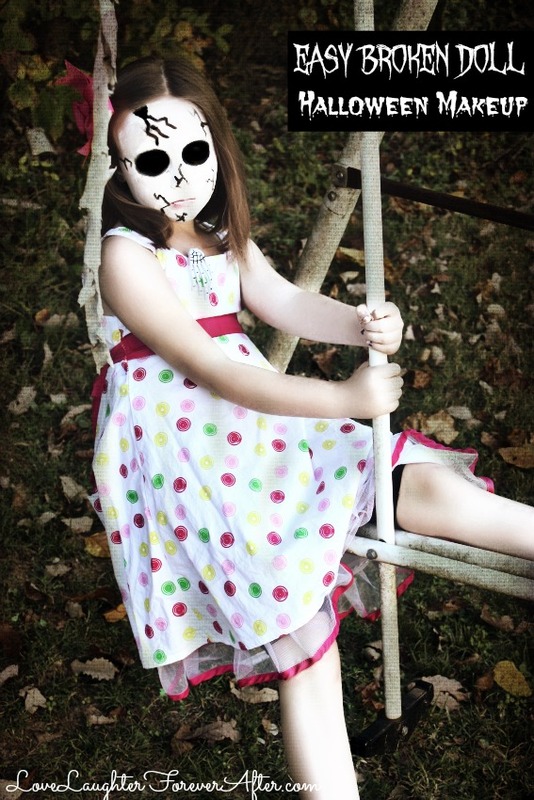 Now, she isn’t a huge fan of things that are scary, but she does let me dress her up a little creepy from time to time. 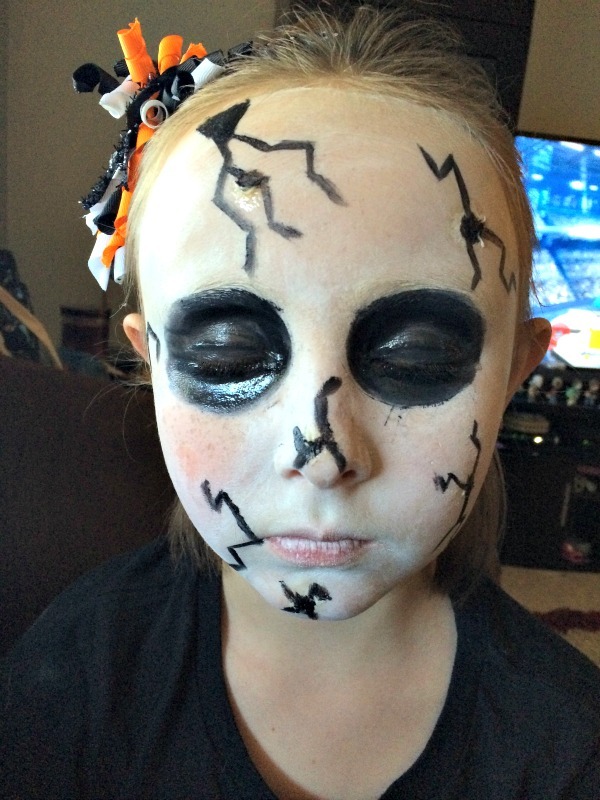 So I was super excited when she agreed to let me try out this Easy Broken Doll Halloween Makeup on her. And I think it turned out pretty awesome if I do say so myself. And the best part is, you only need 2 colors of makeup and about 20 minutes of your time to achieve this look! Pair this make up with a doll looking dress (I found the one above at goodwill) and you have an easy and spooky Halloween costume. Let’s check out how I did it! Step 1: First, wash and dry the face. Make sure it is clear of any old make up or dirt. 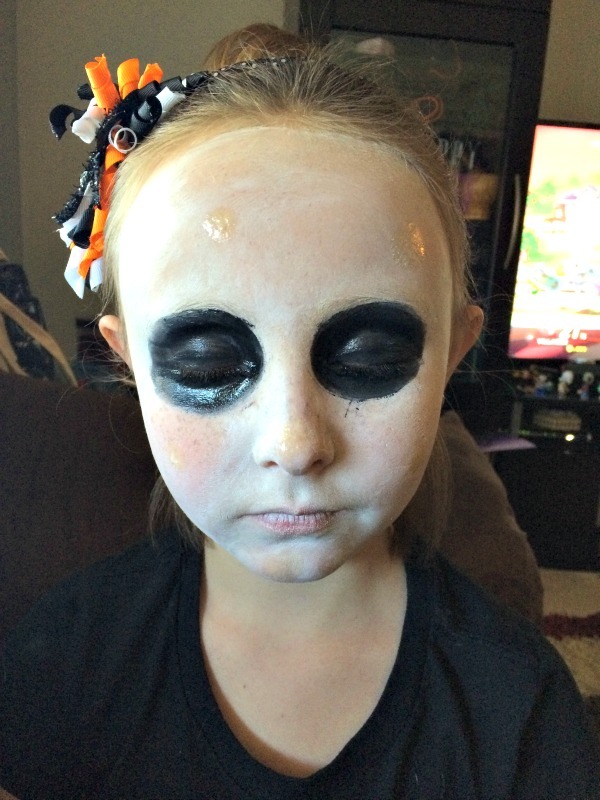 Step 2: Using your white cream make up, cover the entire face. You may need a few coats to achieve that total white face look. Make sure you dry in between coats. Step 3: This step is optional. 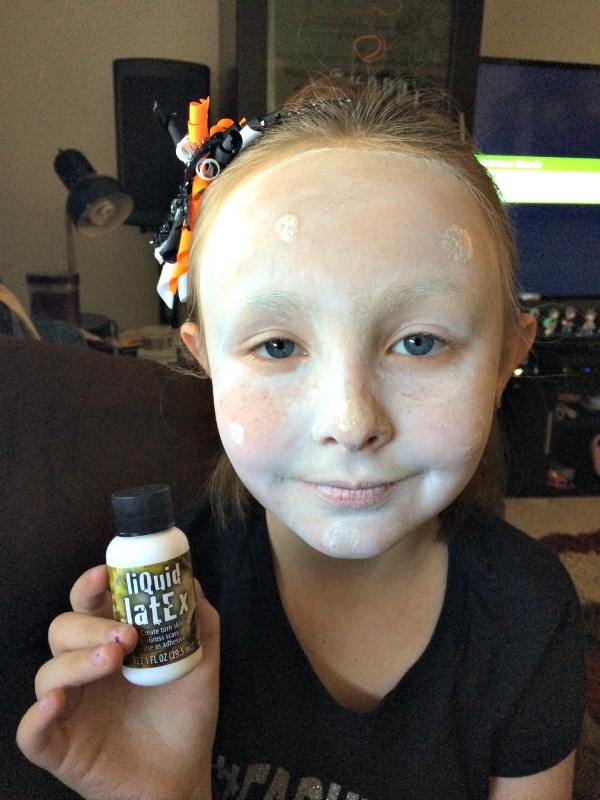 Liquid Latex can create an extra layer of “skin” over your face, which can make your cracks look deeper. All you need to do is dab a bit on your face where you want your cracks to start. Let dry completely before moving on to the next step. Step 4: Now it’s time to move on to the eyes. The purpose of this is to make it look like you don’t have any eyes at all. Start by drawing a circle (using eyeliner or black cream make up) around your eyes from your eyebrows around to the bottom of your eyes. Then fill in. 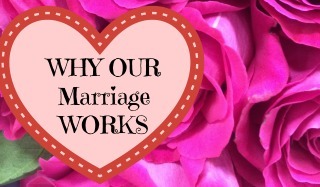 Make sure to be careful and not get any make up in your eyes! If you have light colored eyelashes you might want to put on mascara as well. Step 5: Using your liquid latex spots as a guide, start drawing cracks on your face. You can use as many or or little as you want! Thick or thin, it’s all up to personal preference. Ta-da! That’s it! After your make up look is complete, throw on your outfit, and you are ready to hit the town! The great think about Halloween make up pallets is that they usually wash off pretty easily as well!